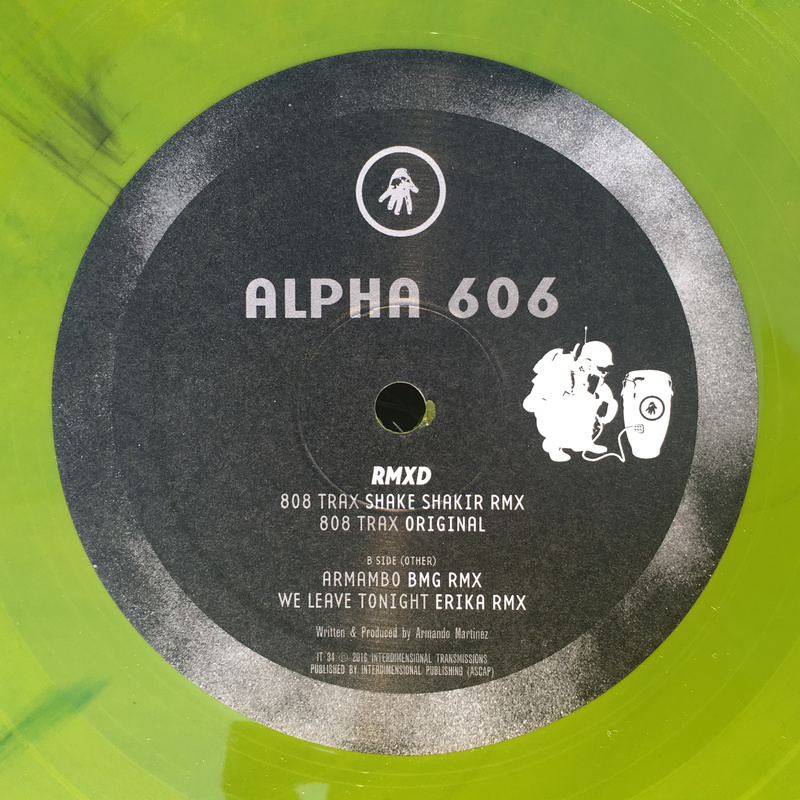 Alpha 606 Remixed for 2016 on Interdimensional Transmissions, with a visionary remix from Anthony “Shake” Shakir, a secret dance floor anthem that works in almost any context from BMG and a beautiful spaced out take on “Electronic Flotation Device” by Erika. This was the last record mastered by Mark Richardson at Prairie Cat Mastering. All tunes from the lost Alpha 606 LP “Afto-Cuban Electronics”. A futuristic homage to Cuban culture, fusing warm machine tones and crisp bass notes with Afro-Cuban drums. In 2008, IT signed Miami based electronic musician & live percussionist Armando Martinez, best known as Alpha 606. Born in Miami to Cuban immigrants, he is a multitalented multi instrumentalist. His innovation is in blending the varied history of Electro, 20th Century Avant Garde and his native Cuban influences, ranging from the ritual music of Santeria to the Afro Cuban highs of 1930's Havana. With this stew of influences, he creates a dense and colorful sound, melding advanced electronics with intricately played live hand drums. His style is the definition of a new sound, known as Electrónica Afro-Cubano. The name Alpha-606 is a hybrid of Alpha 66, the anti-Castro freedom fighting group, and the Roland TR-606 synthesizer machine. I'm just anti-Castro by myself. But I don't put much effort into it.